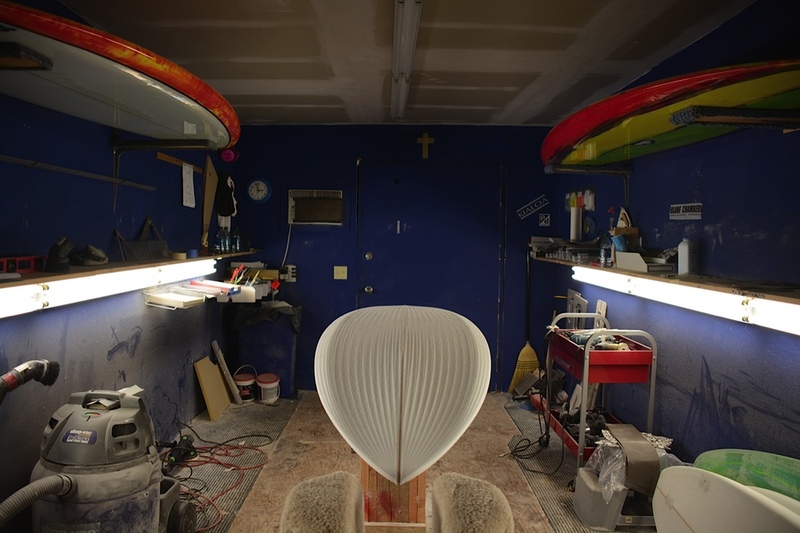 Blane Chambers and I have been working together on surf SUP hull design improvements since our very first SUP surf together back in 2007. Suddenly there was a collaboration of two very keen minds who revel in the feeling of riding waves on personally designed equipment with specific outcomes in mind...all focusing on performance & FUN!! After the initial humblings of this new version of surfing for me it became clear, from a design point of view, not to be drawn into attempting to build a BIG version of my "normal" surfing surfboard which I had been used to riding all my surfing life, since seven years of age. Blane knew this equation innately and opened his mind to where I wanted to take our next generation of surf SUP's for Tom Carroll Paddle Surf. My experience on the earlier, more crudely designed surf SUP's was a sluggish one. They certainly pushed water ahead of blown up curves more akin to exaggerated shortboard or longboard design by forcing the water to take the long journey around bulky rails and apply its stickiness onto wide flat bottom surfaces. My simple motive is to become more water friendly. Water loves to move in a spiral manner. Just think of when we empty the sink of water, down it spirals into the waste or how a waves are formed in rhythmic chains and break over themselves as the hit shallow water. Large flat areas where water wants to grip to, and ripple over, are unfriendly to our approach. As you can see in the images below the double concave vee initiates water spirals as a displacement encourages movement under the board to a double concave between finely placed chines under the rails which create two pronounced pontoons for paddling stability while reducing volume at the outer edge of the plan shape. 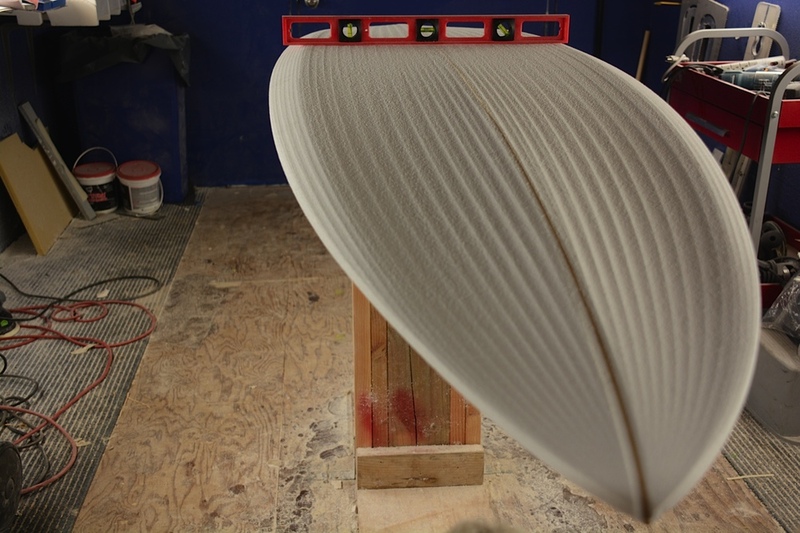 At top speed the bottom concave lifts the board up on the narrower portion of the design reducing drag. When we place her over on her reduced volume rail our turn is initiated by the outer plan shape curve by default, then as water approaches its exit off the rear it easy slips off a spiral vee through the fins and lower than conventional tail rocker holds our speed...a smooth, swift glide toward our destination is the result. Ultimately I am not aiming at short board manouvering my Stand Up Paddle board around a wave - watch the video featured under the "CLIPS" menu and study my approach. These boards are made for a clean smooth glide and uninterrupted momentum.